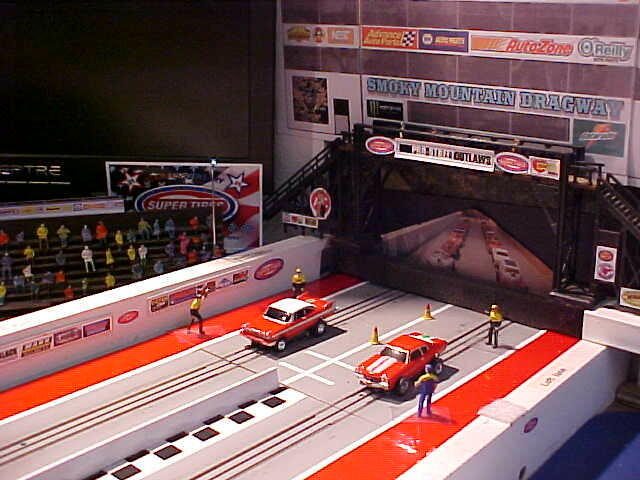 Added some new detail at the starting line on my drag strip. Most of the pictures are taken in this area. Upcoming proxy race in May. Looks great! Thanks for showing Dave. Wow Dave, that looks amazing! 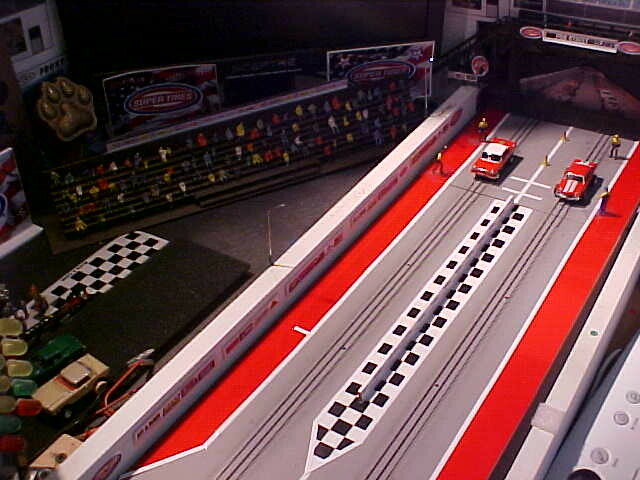 Is that a photo under the gantry showing the cars queued up to have a run? What a great idea. Yes that is a photo of the cars under the gantry, thought it gave some depth to the starting line..